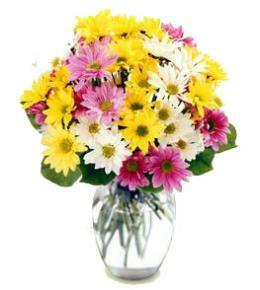 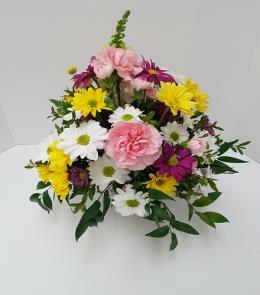 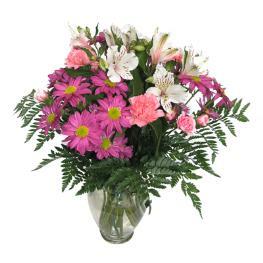 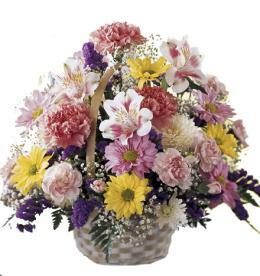 Sweet Peace Bouquet is an elegant way to convey your deepest feelings. 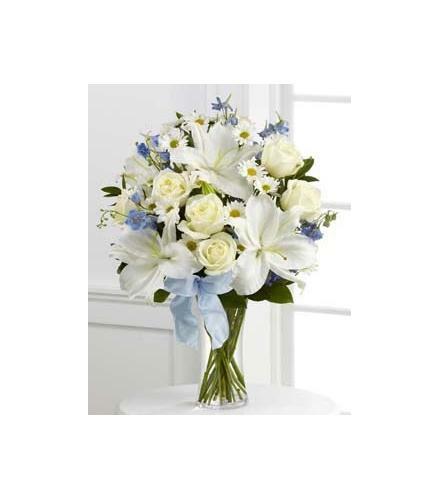 White roses, daisies, and Oriental lilies are sweetly accented with light blue delphinium, lush greens and a light blue organza ribbon, arranged in a clear glass vase, to create an exquisite way to offer comfort.White Flowers Sweet Peace Vase Bouquet. 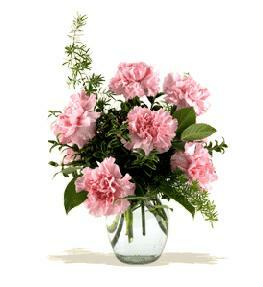 Florist Notes: Blue delphiniums may be seasonal. 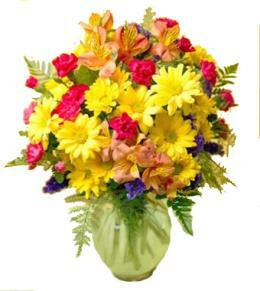 May be able to use blue iris which is a darker blue.